Sometimes, when picking out new furniture, the number of options can be overwhelming. Many customers can find themselves wandering helplessly through the furniture store unsure which pieces to choose or where to even start. Not to worry – next time before you head bedroom furniture shopping, use these tips from Showman Furniture for a more productive trip. 2) Prioritize: Style or Savings? A lot of the decisions over your bedroom furniture come down to style. There are many different options to choose from: classic, traditional, modern, minimal, country, trendy and many others. For some, this is the most important element. For others, the decision can be easily determined by budget. When it comes down to style vs. price tag, you need to know which side you are on. Look for furniture with removable or replaceable elements, such as footboards, hardware, finals, etc. Consider wrought iron: it is extremely versatile and can be easily painted if you want a change. Just like clothing, home decorating has trends that can fade in popularity just as quickly as they come – but you don’t want that to affect such important investment as bedroom furniture. 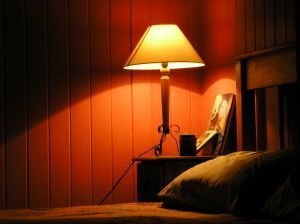 Photos of your bedroom or samples of materials (floorboards, carpet, wall color, finishes, curtains, etc.) if you are trying to match your new piece of furniture to the rest of the décor. A tape measure, just in case! If you’ve done your homework, picking out your next bedroom set should be simple. All it takes for a quick and easy purchase is a little time to make sure you’re making the right decision – and that knowledge will certainly help you rest easy in your new bedroom!